Today DPietrack sold his 10,000th card. 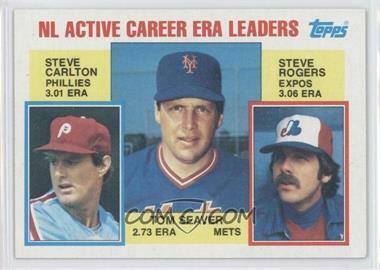 This 1984 Topps #708 – Seaver/Carlton/Rog LL sold for $0.40. Tomorrow will be DPietrack’s 2 year anniversary of first selling cards on COMC.com. 10,000 cards in 2 years… not to shabby for someone who had never sold cards before. This entry was posted in Seller Stats and tagged Dpietrack. Bookmark the permalink. Awesome stuff. Hopefully I can be in the same spot down the line. That’s a lot of time and effort. Good for you. I bought a few of them. Congratulations. Why look at the rest, when you have the BEST!